Marine Cove playground to kick off the school hols, the kid's second favourite playground in all of Melbourne. It's tucked away behind the surfclub and you can't see it from the road so it's always quiet. 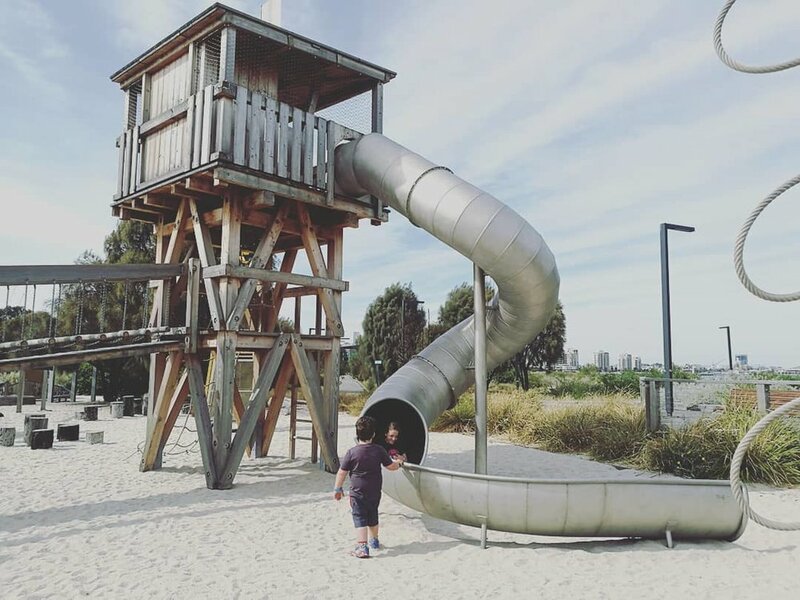 Loads of cool water and sand play, a big slide and plenty to climb on. There's a short boardwalk down to the beach and there are toilets 250m away at the surfclub. Located in Marine Cove in Port Melbourne. 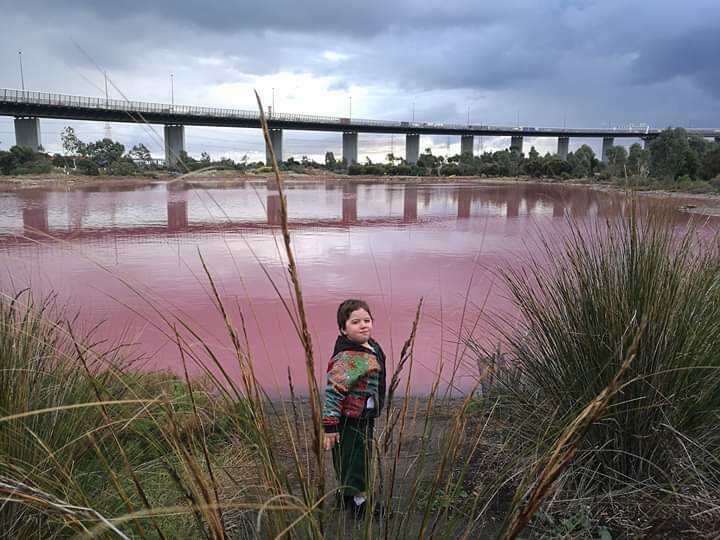 The playground is just down the road from the famous Pink Lake in Westgate Park.